Home > Business > feature > PB to be removed as Economic Dev. Secretary? ( May 24, 2014, Colombo, Sri Lanka Guardian) Sri Lanka’s powerful Finance Secretary Dr. P B Jayasundera is to be removed from the additional post of Secretary to the Ministry of Economic Development, according to sources. The leader of the National Freedom Front (NFF), a constituent party of the ruling UPFA, further alleged that Ministers are praising Jayasundera in the papers so that they can “ask for some money” and that Minister S.B. Dissanayake was a good example for this. He had alleged that P.B. Jayasundera is holding the government “hostage” and that the current regime and its decision makers are afraid to sack him. Incidentally both parties were absent during the vote on the UNP-led Motion of No-confidence against the government, over its failure to take concrete steps to curb the drug trade in the country, and also during the vote on the Strategic Development Projects Acts. Earlier this week two Uva Provincial Council members from the NFF have defected. Capt. Mihimal Munasinghe joined the UNP while W.A. Udayakumara joined the SLFP. Minister Wimal Weerawansa and several NFF members are scheduled to meet President Mahinda Rajapaksa in Temple Trees this morning, following an invitation extended by the President. Meanwhile it is also reported that Mrs Sudharma Karunaratne, who is the current Secretary to the Ministry of Plantation, will be transferred to the post of Health Secretary, which is currently held by Dr. Nihal Jayathilaka. A series of crises had plagued the health sector in recent times while the midwifery training issue had been one of the main topics among the public and media. Several trade unions affiliated with the health sector had engaged in strike action over the issue while this had resulted in patients facing many difficulties in hospitals across the island. Trade unions in the health sector had strongly criticized certain decisions taken by Health Secretary Dr. Nihal Jayathilaka, which had led to the strike actions. It is said that the cold war between the Health Secretary and the Director General of Health Services was one of the main reasons for the issues to reach the point of trade union action. Under these conditions the Minister of Health Maithripala Sirisena had requested Dr. Jayathilaka to leave the post of Health Ministry Secretary, a highly-placed source told Ada Derana. 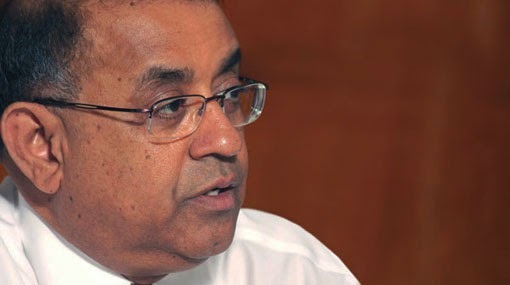 Therefore Dr. Jayathilaka is likely to assume duties as the Secretary to the Ministry of Plantation Industries within the next couple of days.